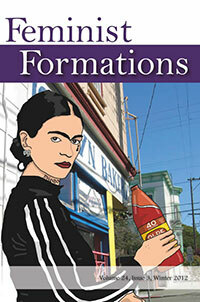 Feminist Formations cultivates a forum where feminists from around the world articulate research, theory, activism, teaching, and learning, thereby showcasing new feminist formations. An interdisciplinary, peer-reviewed journal, we publish innovative work by scholars, activists, artists, poets, and practitioners in feminist, gender, and sexuality studies. Our subject matter includes national, global, and transnational feminist thought and practice; the cultural and social politics of genders and sexualities; and historical and contemporary studies of gendered experience. 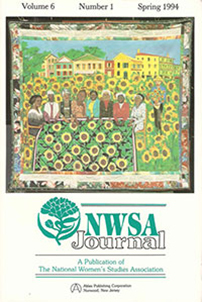 The journal values established and emerging lines of inquiry and methods that engage the complexities of gender as implicated in forms of power such as race, ethnicity, class, nation, migration, ability, and religion. 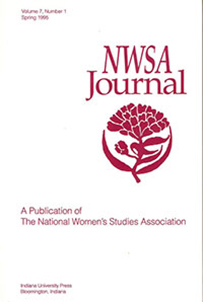 Founded in 1988 as the journal for the National Women’s Studies Association, Feminist Formations is a peer-reviewed academic journal currently based at Oregon State University's Department of Women, Gender, and Sexuality Studies. 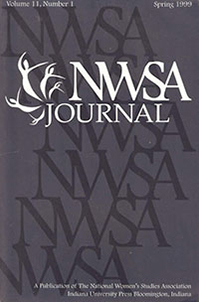 Above is a selection of covers from 1994 to the current design to show the changing face of the journal over time.